Remember the CB radio phenomenon of the 70's? Everybody on the road was chattering about traffic, truck stops and speed traps. It was like Twitter for truckers. Except a lot of us were trucker wannabees, and we actually talked, not typed. Along with the coded CB jargon - "You got a bear in the bushes at mile marker 228 so back it on down from the hammer lane" - there were the "handles," the nicknames drivers used to identify themselves. 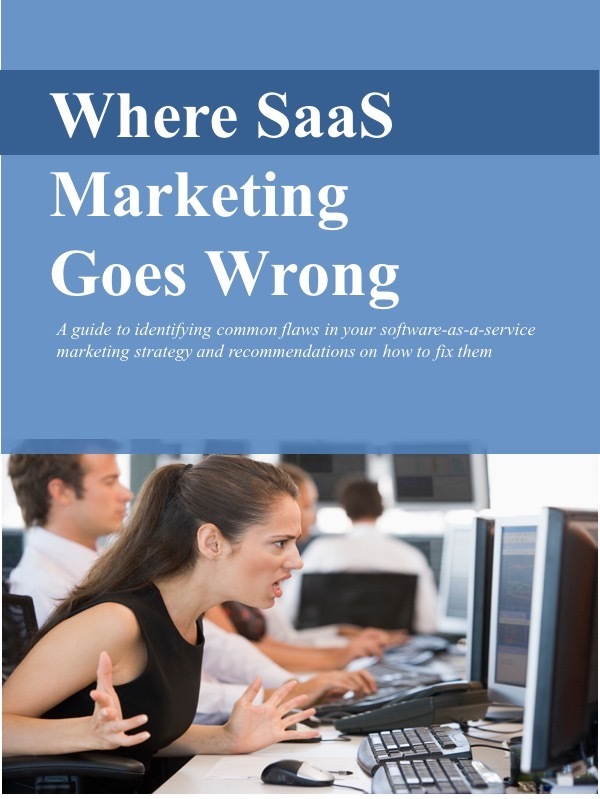 I don't have a CB radio now, but I do have a handle: "SaaS Marketing." I know it's not as colorful as "Bandit," "Big Dog," or "Night Rider," but it is a useful way to distinguish myself and my services from the other marketing experts out there. That's why you'll find "SaaS Marketing" on my web site, my business cards, and in the header at the top of this page. But is "SaaS Marketing" really any different than plain old marketing? Tactically they're very similar, but strategically they're very different. The tactics used to market SaaS solutions are familiar to anyone who's been marketing on-premise technology solutions. It's the same mix of events, PR, collateral, web site, search engine optimization, webinars, direct marketing, and other programs we know and love. We need to be especially careful that they're cost-effective, but the basic programs themselves are the same. The difference is in the strategy. In marketing a SaaS solution, in contrast to an on-premise solution, we're delivering a different message to different audiences on a different schedule. For a SaaS solution, the message needs to articulate the value of the full customer experience and isn't confined to just product features. It includes benefits like "easy to deploy," "easy to buy," and "easy to leave." The message also needs to cover the promise of what you're intending to deliver in the future. The customer isn't just buying what's in the solution today. They're committing to a stream of enhancements to be delivered over the entire term of their subscription. Because of this, SaaS marketers shouldn't be hesitant about revealing the product road map. For SaaS solutions, the audiences - the people involved in the purchase decision - are often different from those involved in an on-premise solution sale. During the sales process, we need to reach the functional buyer for the application (e.g. HR, finance, manufacturing), plus the CIO and the IT team, legal and procurement, and existing customers. In marketing on-premise solutions, we usually focus on prospective customers, not ones we've already sold to. As for the schedule, SaaS solutions are often enhanced much more frequently than on-premise solutions, and marketing needs to work on a different timetable to stay in sync. In many cases, SaaS solutions require a marketing process geared for new releases every quarter, not once every two years. To succeed, companies that are marketing SaaS solutions need to recognize and adjust to these strategic changes. We'll continue to deploy similar marketing programs, but our tactics will need to be re-oriented to deliver a different message to different audiences according to a different schedule.